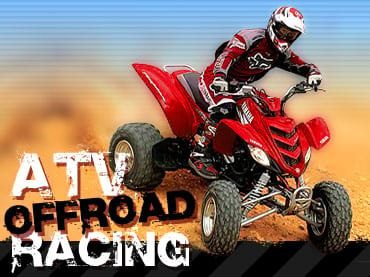 ATV Offroad Racing is a realistic action-packed racing game. If you like this free game, try Star Racing. Win in four different types of contests. Your opponents will play hard. They will try to kick you out from the track when they will be near you. You can do the same - winning's all that matters! Realistic 3D graphic gives you even more vivid sensation from high-speed game. Prove that you are number one and nobody can leave you behind. There is no place for compromise! If you have questions about ATV Offroad Racing game, please contact us using this form.